Daddy Digger is on his phone a lot throughout the day on calls and meetings. He’s a multi-tasker so having a good Bluetooth headset makes all the difference and he recently got to try out the Jabra EASYGO Bluetooth Headset from RadioShack. It’s lightweight and easy to wear without the included ear hook or with and comes with extra ear bud covers in different sizes (small, medium and large) for optimal comfort. The call button is easy to find as it is the entire upper half of the headset so your not fumbling trying to answer or end a call. When charged it has up to 6 hours of talk time or 8 hours of standby time. The voice quality and audio is clear and the noise cancellation works well, the only problem we ran into was when it was exceptionally windy outside. One other cool feature is that you can connect the Jabra EASYGO to more than one device. The Jabra EASYGO Bluetooth headset is a great compact and affordable headset. Daddy Digger has been very happy with it because its comfortable, sounds great and is very nicely priced at $40. 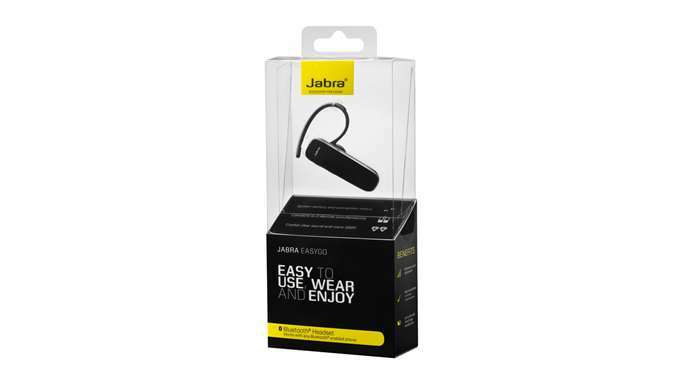 The Jabra EASYGO Bluetooth headset is available at RadioShack in stores and online at the RadioShack website. One Mommy Digger reader will win a Jabra EASYGO Bluetooth headset from Radio Shack. To enter fill out the rafflecopter form below. Ends 1/14 at 11:59PM EST. RS carries the Roku XS, and we’d love to try that out. I would also love the beats by dre. I would like to have a Tom Tom Start 55TM GPS receiver. Canon EOS Rebel T3i 18.0MP Digital SLR with 18-55mm Lens. I would love the Apple® iPad® with Retina Display Wi-Fi® 16GB (Black). I would love to have the Crosley Tech turntable.